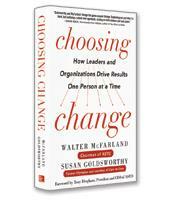 In Choosing Change, ASTD Chairman Walter McFarland and leadership executive coach Susan Goldsworthy offer a proven model for not just facing inevitable change but also leveraging it as a tool for long-term success. 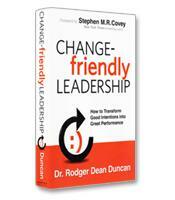 If you want to lead change, you need to be open to change yourself. Choosing Change provides a framework called the Five Ds to compare key elements to be aware of during both individual and organizational change. 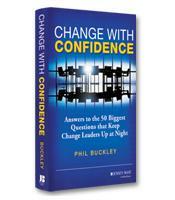 The Five Ds of the successful change process: Disruption, Desire, Discipline, Determination and Development. 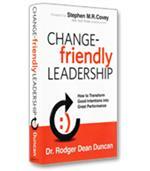 How to apply key findings from the field of neuroscience to maximize the success of any revolutionary change effort. 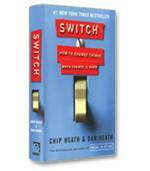 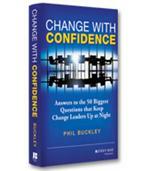 How to implement a successful revolutionary change in yourself and in your organization.